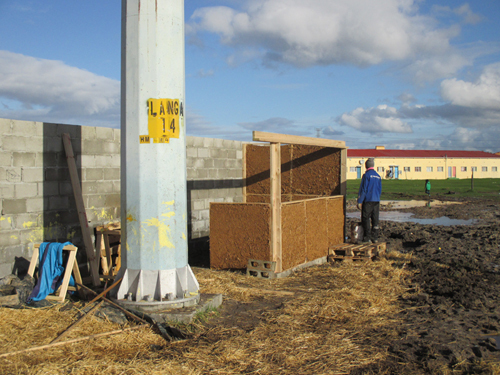 – with knowledge and a hands-on workshop on straw-lightclay a small structure could be implemented for the local inhabitants. 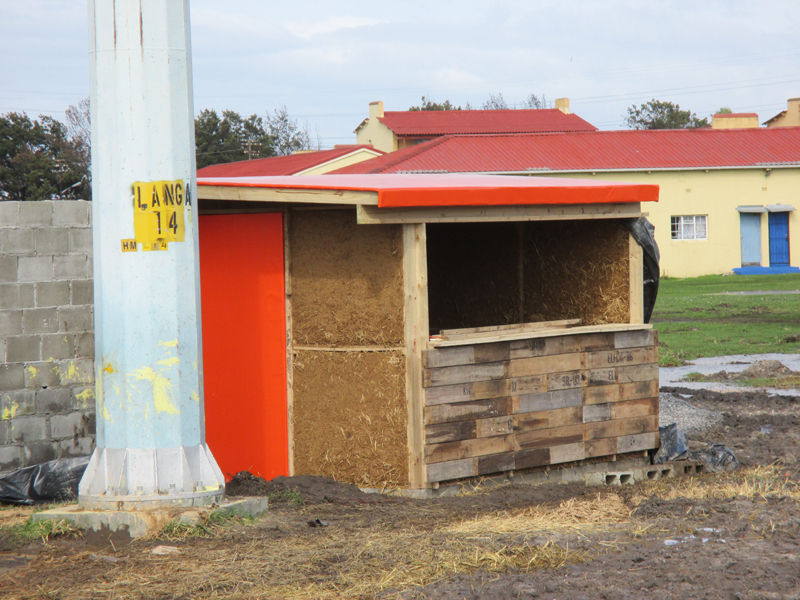 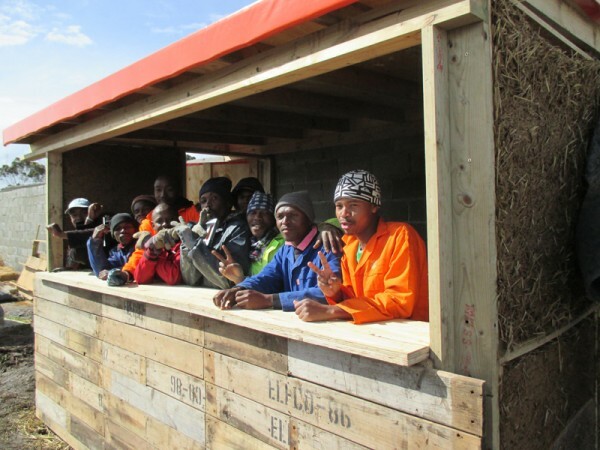 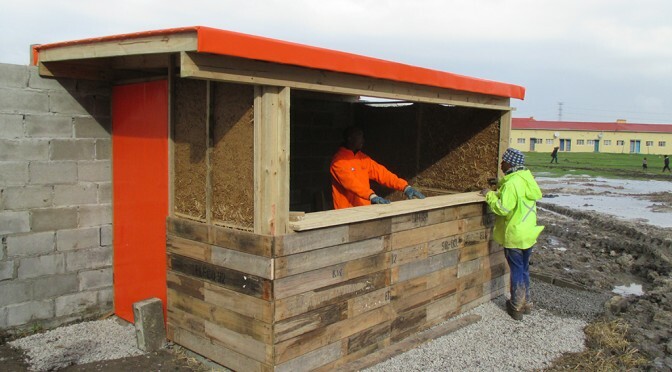 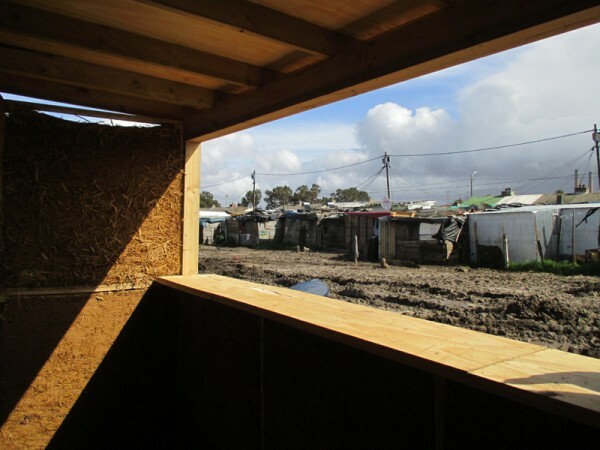 Prefabricated wall-panels of lightclay were assembled and tested with the great support of motivated neighbors in Langa, Capetown and will serve as a soupKiosk. 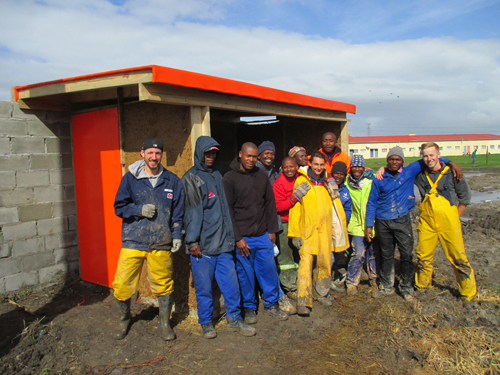 Thank you to all participants – making it happen in just a few days!